A. Christson Adedoyin, an associate professor in Samford University School of Public Health’s Department of Social Work was recently named to the second cohort of the Annie E. Casey Foundation’s (AECF) Leaders in Equitable Evaluation and Diversity, or LEEAD program. It is the intention of AECF’s Expanding the Bench LEEAD scholars’ program is to increase the number of diverse researchers in evaluation fields, and improve outcomes for vulnerable children, families and communities. LEEAD scholars are paired by AECF for evaluation projects with nationally reputable organizations such as American Institutes for Research, Child Trends, Mathematica, Harder & Company, ORS Impact and RAND Corporation. Adedoyin considers his new membership with LEEAD a “milestone blessing.” Members of LEEAD undergo extensive training in the field of program evaluation. The process is strenuous and cumbersome, according to Adedoyin, but the reward is well worth it. For Adedoyin, the research and networking he has done through the program have enabled him to rebrand his scholarly research and teaching style. 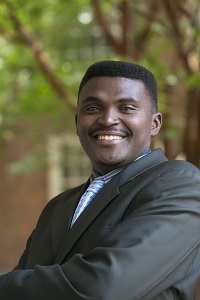 Adedoyin plans to integrate the knowledge he gains through LEEAD into Samford’s Master of Social Work program.